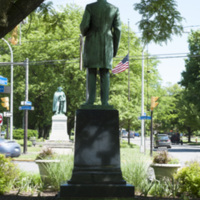 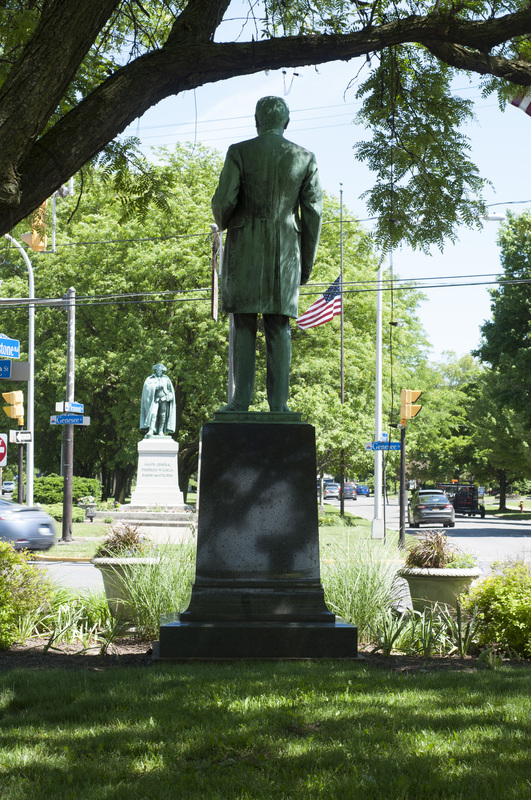 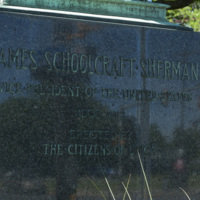 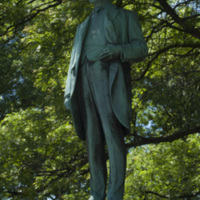 “James Schoolcraft Sherman Monument,” Art Oneida, accessed April 20, 2019, http://artoneida.org/art/items/show/189. 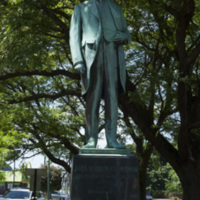 Description: The monument was erected in 1923 by the Sherman Memorial Committee. 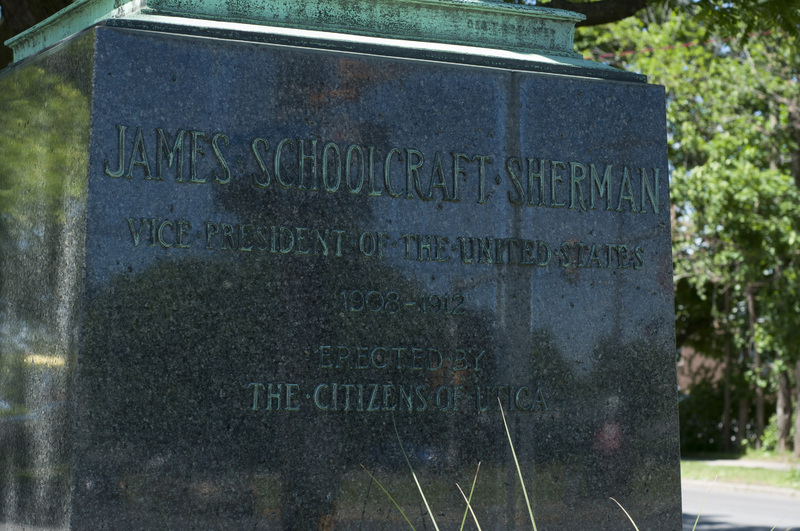 James Schoolcraft Sherman served as Vice President under President William Howard Taft from 1909-1912. 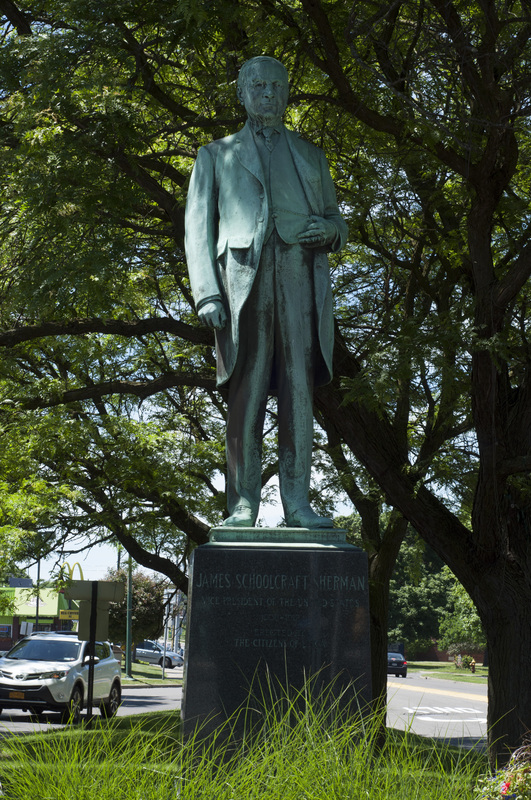 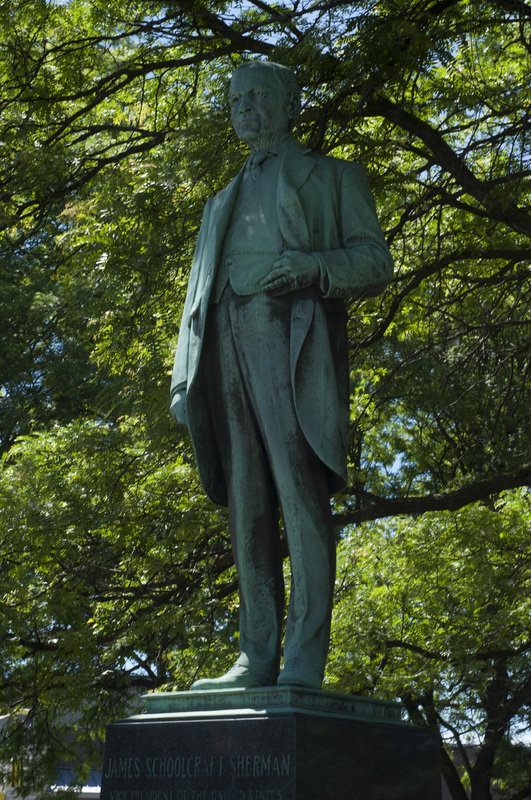 Inscription: "JAMES SCHOOLCRAFT SHERMAN, VICE PRESIDENT OF THE UNITED STATES, 1908-1912, ERECTED BY THE CITIZENS OF UTICA"